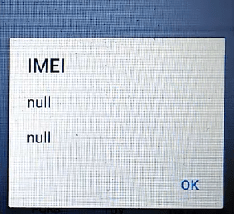 IF Your Lava Mobile A82 Have Problem Of Imei Null Or Unknown Baseband Problem. This Guide Will Help You To Fix Your Problem. You Can Follow These Simple Steps. For Repair Your Mobile Easily. 1. 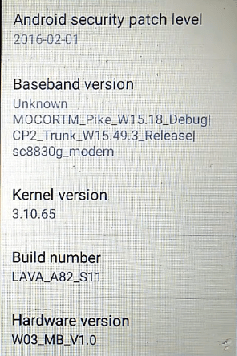 At First, You Have To Download The Firmware Of Lava A82. 2. After Download Firmware And Flashing Tool Extract Both Files. After Extract The Files Open Spd Flashing Tool. 3. After That Load (LAVA_A82_W032_M00_S10A_170310.Pac) The File. After Loaded Flash File Click On Play Button On Flashing Tool. 4. And Now Connect Your Mobile In Download Mode By Press & Hold Vol- Key And Then Insert Usb Cable. Windows Will Detect Your Mobile And Flashing Will Start. 5. After Complete Flashing Process Disconnect Your Mobile And Power Up Manually. Now Your Problem Is Solved. Now Your Device Is Ready For Use.